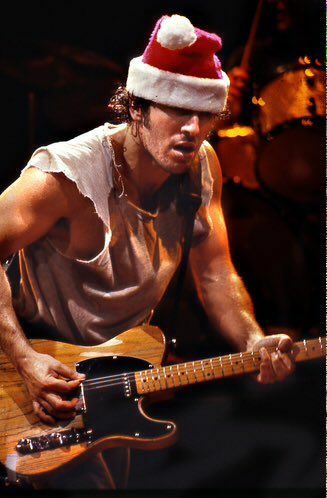 I have a love-hate relationship with “Santa Claus is Coming to Town.” Sure, it’s easy to hum along to, it puts smiles on the faces of millions, and easily jumps into the top ten Christmas songs to play on repeat when Bruce Springsteen immortalizes it with his rendition. And yet nothing says performance-driven paranoia like an old bearded man watching you when you sleep and double-checking to see if you should be on his naughty or nice list. Similarly, when the angel came to the shepherds in the dead of night, they declared; “Do not be afraid! For behold, I bring you good news of great joy that will be for all the people: Today in the City of David a Savior has been born to you. He is Christ the Lord!” The angels chose to share the news with shepherds, whose occupation probably fell low on the list of desired jobs, that a savior had been born. They were not informed of a savior who had been training or earning his title. It wasn’t news of a man who ranked at the top of qualifying lists and was proven to be the one to save the oppressed. The news was about a baby, lying in a feeding trough in a decrepit stable. A baby who was only accompanied by his poor and neglected parents, whose new life followed his mother’s cries of pain. And yet, despite failing to meet any of earth’s requirements, had already been declared the Savior of it. Theologian Todd Billings says that “the human Jesus does not earn the honorific title Son of God through good works, nor is he “adopted” by the Father at a later point in his life after he has proven himself. No. Even in the womb, the divine Word had fully assumed the humanity of Christ.” He goes on to quote Saint Augustine: “this birth, which joined the human to God and the flesh to the Word in the unity of one person, was undeniably gratuitous. Good works followed; they did not earn this birth.” Jesus did not earn the title “Son of God” but was given it. So for the next few days, I’ll be belting along with Bruce and many others to the jingles and jangles of Christmas cheer. But it won’t be because I somehow made it on a list by any effort of my own. It will be because, just as in utero, Jesus Christ was given the title “Son of God,” and as the newborn Jesus emphatically declared to be the “Savior,” so are we in our broken stupor and sin, claimed by unmerited favor and love to be sons and daughters of God. Even when the world cannot recognize it, especially when our own feelings declare, “Not you!”, God whispers the words He spoke to Jesus before any ministry had been completed: “You are my beloved child with whom I am well pleased.” That’s where Jesus begins, and in the pleasure of the Father is where we start the new year, as well.